CT SCAN / CTA | Sutter Buttes Imaging Medical Group, Inc. 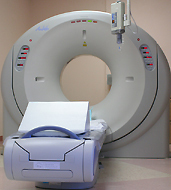 Computerized Tomography (CT), also known as Computerized Axial Tomography (CT or CAT Scan), is a painless diagnostic procedure using low amounts of radiation to generate a sequence of highly detailed images. A computer then takes these images and compiles them into complete cross-sectional images (“slices”) of the area of the body being scanned. CT scans help radiologists to diagnose most cancers, cardiovascular disease, infectious diseases and trauma. We utilize a Multi-Slice Toshiba Aquilion CT scanner. This multi-slice scanner allows for a more comfortable exam, reduced waiting time, and a more accurate diagnosis than previous generation CT units. Computed Tomography Angiography (CTA) is a diagnostic CT exam used to visualize the blood flow in the arteries and veins throughout the body. Unlike conventional angiography, CTA is a much less invasive procedure. It is commonly used to image abnormalities of the blood vessels and aneurysms. Do you have any kidney/renal problems? Do you have allergies to iodine? Our CT coordinator will be contacting you by phone to go over more questions prior to your exam. Start drinking 32 ounces of water 45 minutes prior to your exam. It is permissible to empty the bladder. Please be advised that once have been checked in for your exam, you will be asked to drink more water. After your exam is complete, you will be asked to drink extra water throughout the day to flush the contrast out of your system. If you have any questions or concerns about the preparation for you exam, please feel free to contact our CT coordinator at (530) 645-5337.